The 2014 Tribeca carries over virtually unchanged from last year. It continues to offer the same utility, power, advanced features and capable off-road performance that shoppers have always loved about it, along with the same trademark Subaru styling that distinguishes it from other midsize SUVs. Shoppers in western Missouri can find the 2014 Subaru Tribeca for sale in Kansas City at 90 NW Vivion Road; visit us today to browse inventory. 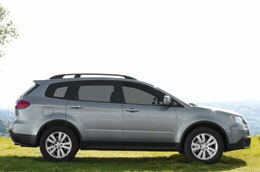 For details about the vehicle, please continue reading our Subaru Tribeca review. A generous selection of premium equipment comes standard, including a Bluetooth hands-free phone system, rear-vision camera, XM Satellite Radio, moonroof and heated power front seats. These features complement a list of basic must-have amenities like cruise control, a tilt/telescope steering wheel and dual-zone automatic climate control. The SUV also has a 40/20/40-split second row and 50/50-split third row for your convenience. On top of this, there are many option packages to choose from, including Navigation and Navigation & Rear-Seat DVD Entertainment packages. The Tribeca is offered in one 3.6R Limited trim. Under the hood is a standard 3.6L horizontally opposed six-cylinder engine, specially tuned five-speed automatic transmission and Subaru's famous Symmetrical All-Wheel-Drive System. Other highlights include the SUV's high 8.7-inch ground clearance and ample seven-passenger seating. When you come test drive the 2014 Subaru Tribeca in Kansas City, MO, your sales representative will give you complete details about its powertrain and features, as well as information about current financial incentives that you may qualify for. 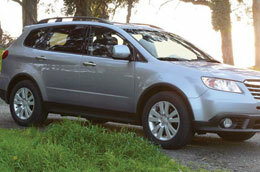 Van Subaru's 2014 Tribeca review continues below, along with listings for new inventory and photos. You can also watch a video tour of the SUV at the bottom of the page to see footage of the vehicle's full exterior and cabin. 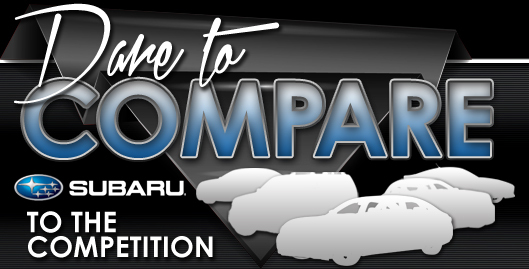 Is the Subaru Right for You? 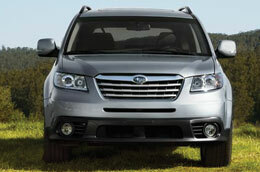 The 2014 Ford Explorer, Toyota Highlander and the Hyundai Santa Fe are eclipsed by the 2014 Tribeca in many areas. MO shoppers will benefit from the Tribeca's convenient features and affordable pricing. You'll definitely see that when compared to the forementioned vehicle options it's a truly amazing value in regard to price, which is why many Kansas City Subaru customers choose it. Get more info - Take a peek at our Tribeca Quick List below! If you're having difficulty deciding which Subaru is right for you, please read the Tribeca review above, along with reviews of other current 2014 models sold at Van Subaru. Not all Kansas City car dealerships are alike. We differ from others in that we feel it's our duty to serve customers with quality reviews. Every paragraph comes jammed with important information, specs and research - just what you need to make informed decisions about your next Subaru purchase. Now that you've gone over Van Subaru's Tribeca review, please message us to setup a test drive or learn about current lease offers and OEM specials.